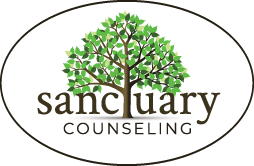 Month: October 2015 | Sanctuary Counseling, LLC. Obviously, this artwork is talking about caffeine and the fact that some of us drink way too much of it for our own good (stop looking at me like that!). But around the Sanctuary offices many of us agreed that it also brought up old memories of feeling weird and isolated. You see, we’re pretty much a nerd crew over here, and as such, we know first-hand what it’s like to feel like you’re the only one of your kind. 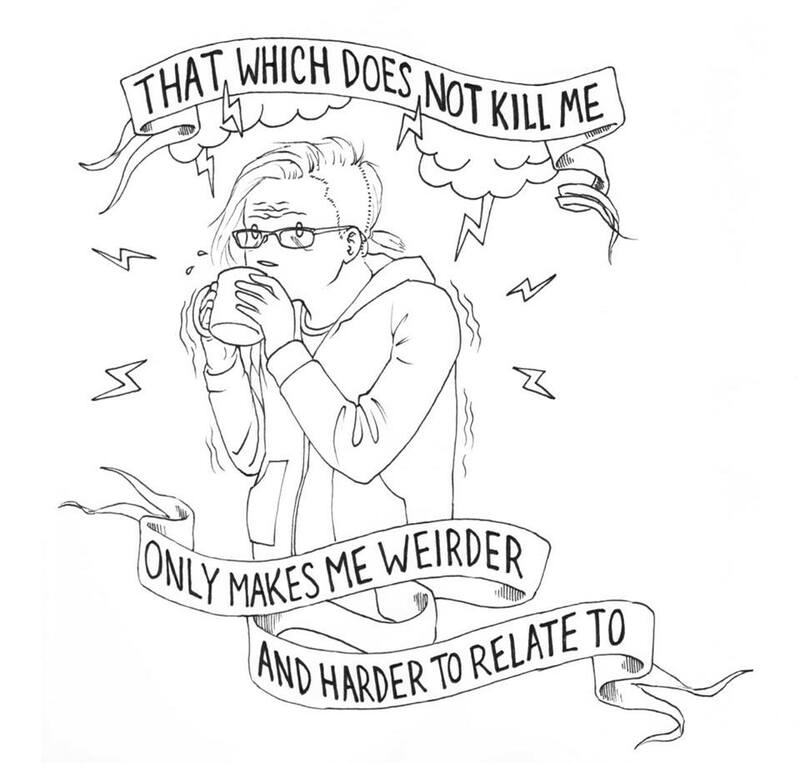 And don’t we all feel that way sometimes, self-proclaimed nerds or not? Often times, the more we live our lives and get to know ourselves on levels physical, spiritual, and social, the more things we can list that make us “weirder and harder to relate to:” specific hobbies or interests, mental and physical illnesses, sexual orientation or gender identity, careers and chosen life paths, struggles and desires, trauma or loss, religion and politics. The more these pile up, the more it’s tempting to hide them so we can just fit in. And while this pattern of hiding our “quirks” can help us sort-of-maybe-kinda get along with others in everyday life, it can also leave us feeling lonely. The irony is that it’s not until we begin accepting and letting out our weirdnesses that we can truly begin to find people we can relate to on a deeper level — people who are like us. Another way to phrase that? Superheroes… Many of us remember the feeling of believing we were the world’s greatest superhero. When we were kids, we would tie sheets around our shoulders and pretend to fly. We were saving Ken and Barbie from an incoming tornado or showing up just in time to save the Star Wars Legos from obliteration. But then, it seems, that overnight we began to lose a little bit of that and then a little bit more until one day there is hardly any left. Unless we make the decision, and I do mean decision, to be a hero again, it stays lost. Our hero stays locked deep inside of us while the villains we create gain speed and strength and power over our lives. Be my own hero? Wow – even now, thinking about it, I am impressed with how far I’ve come. This was it, it was the moment that I knew I had arrived at a completely different me. It’s so easy for many of us, with our constant cycle of emotions, to get caught up on just one thing. Usually we seem to put forth our energy on the negative ones. The negative seems like the most important so we dwell and we let it fester until it has control over every other aspect; it subdues the feelings of hope and of peace. The reason to stop listening is that just because the mother never achieved her dreams doesn’t mean her child can’t show her all the beauty that still exists by picking up where she left off and living her own dreams. Or that just because the other girls couldn’t see past their classmate’s outer appearance doesn’t mean that she can’t be the one to come out on top and lift others up no matter what their appearance is. Or that the little boy or girl can’t ever pick up a baseball bat again and teach his children how to be good sportsmen/women and try their best even if they fail. We might not have an ideal and nurturing upbringing. We might not have a so-called perfect body. And there are some of us that have other talents besides baseball. The focus should not be that we can’t be good at everything, but instead,that we are all individually meant to be GREAT at something else. 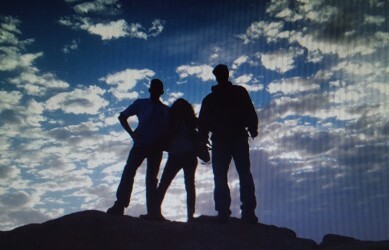 We are all superheroes, we are all great in one or many ways, even though we have flaws. But in our flaws we are still strong, still able, and still someone worth looking up to as long as we still show up and as long as we still try. All we have to do is stand tall, pull our shoulders back, and show the world that, even though something in our past may have brought us down, there’s no reason we can’t let our own super powers shine!